Time-tracking software has, in some ways, revolutionized productivity and workforce management. Thanks to automation and centralization, as well as intuitive, convenient employee interfaces, it’s now possible to get a more accurate, reliable read on how your employees are (or aren’t) spending their time. But is time tracking all it’s cracked up to be? There may be some obvious and subtle advantages, but there are also some weaknesses to keep in mind before making time tracking mandatory. Before we delve into the pros and cons, you should know there are many different types of time-tracking software, each with their own unique features, strengths, and weaknesses; you don’t want to be locked into any one type of functionality. Spend time evaluating the different platforms to find the one that fits your company best. Accountability. Time-tracking software holds your team accountable for what they’re supposed to be doing, and what they’ve done. If you have a team member who chronically wastes time, or one who spends far longer than necessary on specific tasks, you’ll have documented evidence you can use to justify disciplinary action, or to recommend changes to improve their performance. Motivation. You can also use time tracking to motivate your employees. With objective metrics, your employees have something specific to focus on, a target where they can view their progress. You can set a goal for your team to complete a given project in 15 work hours, for example, and if it’s a reasonable goal, your employees will work hard to achieve it. Transparency. Time tracking gives transparency to your entire organization. Employees can get a better idea of how they work and what they can do better, and supervisors get the data they need to identify areas of weakness. Transparency tends to facilitate happier, more productive workplaces, so it’s an important benefit to note. Objectivity. Time tracking can be more objective than a high-level performance review. 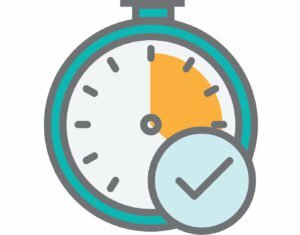 Rather than just taking note of certain behaviors or history of qualitative performance issues, time tracking can show you exactly how much time your employees are spending on a task. You can also use this information to justify price increases or other internal changes. Analytics. Finally, time-tracking software gives you high-level analytic functionality, which can help you calculate the cost and value of your projects, the efficiency of your workforce, and even the effectiveness of your management style. More information is almost never a bad thing to have on your side. Reductionism. You can measure how long it takes to complete a task, but that doesn’t tell you everything about how a task was completed. For example, a software developer may rush to fix a bug in under an hour, but their hasty, patchwork fix might result in even more bugs. Along these lines, you might have an outstanding, dedicated employee who isn’t able to work as quickly as their counterparts—in which case, time tracking can’t help you render a fair evaluation. Paranoia. Excessive levels of workplace monitoring can be harmful to an employee’s sense of well-being. They may feel like all their movements are being tracked, and their environment is less personal and welcoming because of it. Ultimately, this can result in declining performance and low morale. Reliability. Not all time-tracking products are perfect. If your platform goes down for a day, you might lose information on a crucial project. If your employees also aren’t using the platform in a consistent way, you might not generate the high-quality data necessary to form accurate conclusions. Manipulation. Most time-tracking platforms offer employees the option of manually entering their time, or retroactively changing time that was already logged. Accordingly, your data is open to manipulation. Discrimination. Any form of advanced monitoring also poses a risk of discrimination. If one of your employees takes twice as long to complete a task due to a physical disability, you can’t legally hold it against them—but what if they’re consistently behind in terms of overall productivity? Time tracking can only pose problems for you in this department. The bottom line is time-tracking software has incredible potential, but isn’t an all-in-one solution, nor is it guaranteed to have only positive effects. Each business is different, and will hope to get something different out of the time tracking software it uses. Whether time-tracking software is right for your business depends on how you’re going to use it, as well as which platform you ultimately choose. In these days of austerity in addition to relative stress and anxiety about having debt, lots of people balk up against the idea of employing a credit card in order to make purchase of merchandise or maybe pay for a trip, preferring, instead just to rely on the particular tried as well as trusted technique of making payment – hard cash. However, if you have the cash on hand to make the purchase completely, then, paradoxically, this is the best time to use the cards for several motives.